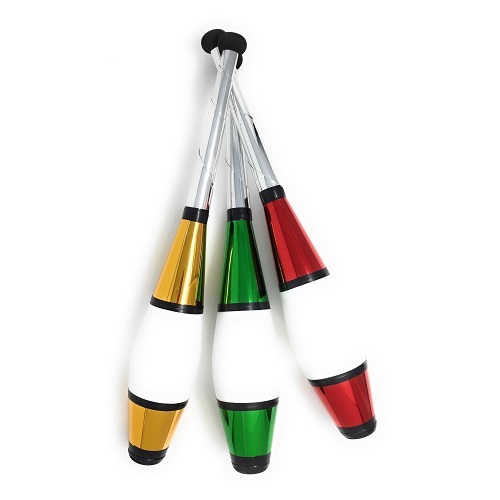 These juggling clubs are made using the same technology as the trainer juggling clubs, so are also very tough and can endure the hardest of knocks. They also have lightly cushioned handles to make it easier to catch. 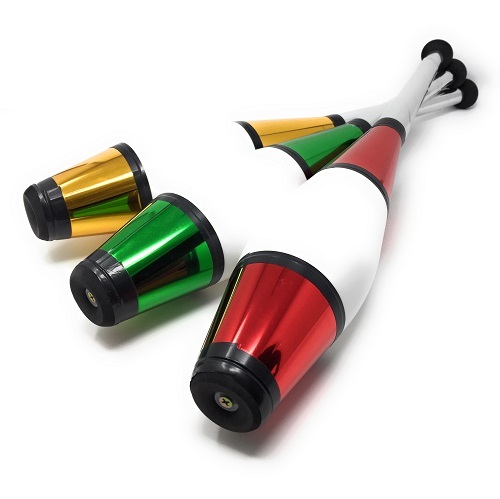 These clubs are finished in the beautiful European 'Classic' design so they will turn heads when you use them, and they are great for doing a performance, even a small one in front of family or friends. 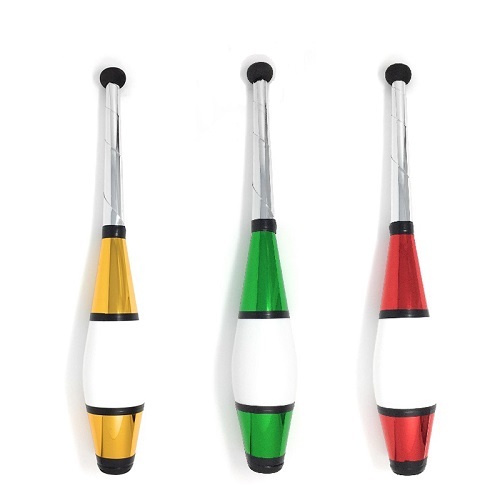 If you have mastered the cascade using juggling balls, then you are ready to go with clubs. They are a little more difficult than balls, but once you get the hang of it, they are that much more fun!